Mercedes-Benz V-Class price starts at Rs.71.20 lakh (Ex-Showroom, Delhi) and the top end variant Mercedes-Benz V-Class Exclusive is priced at Rs. 82.60 lakh (Ex-Showroom, Delhi). 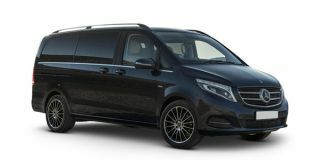 The Mercedes-Benz V-Class is powered by a 2.1-litre, 4-cylinder, turbo-diesel engine developing 163PS of maximum power and 380Nm of peak torque paired to a 7-speed torque converter. Power is sent to the rear wheels, unlike new-age MPVs. Share your experiences with V-Class?